Was cruising around Flikr looking for pictures of The Netherlands. This picture of Amersfoort makes me wish I had spent more time there. 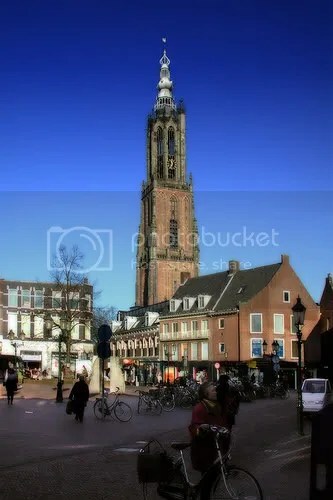 However, living where I was — between Amersfoort and Utrecht — I made my choices largely on being a teenager. Utrecht had the record store, the comic shop, and the radical book store. Makes sense I ended up there more, in retrospect. Anyhow, “Audrey’s Dad” took the picture, and it’s listed as a creative commons photo.